Flowers are a beautiful addition to any wedding decor, as well as a lovely adornment for the wedding party. Brides make sure they choose flowers with care and consideration to enhance their ceremony. It’s been said, that during Victorian times, lovers would send messages to each other using different flowers, with each flower having its own meaning. These associations were soon adopted for the bride’s bouquets and are still used today by many brides. Isn’t that romantic? During Roman times, brides and grooms wore floral garlands to signify new life and hope for fertility. 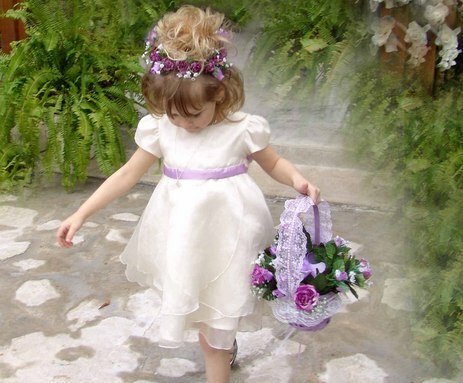 The custom of the bride carrying flowers has its roots in ancient times. Strong smelling herbs and spices were thought to ward off and drive away evil spirits and ill-health. Flowers are love’s truest language and here is a few of the most popular wedding flowers preferred by brides today and their symbolic meanings. Baby’s Breath: Represents innocence and is best used as a filler in bouquets, corsage and are in season year round. Calla Lily: Means magnificent beauty and this large tropical flower is very popular in weddings. Carnations: Pink represents boldness, red symbolizes love and white indicates talent, some other colors have negative connotations. Carnations are in season all year-round and have a very light fragrance or none at all. Chrysanthemum or Mum: Meaning wealth, abundance, truth and the name literally means “Golden Flower” used most often in the fall. Daffodil: Meaning regard and is most often used in the spring. Daisy: Meaning share your feelings and are in season year-round. Freesia: Meaning innocence and spring brides enjoy the sweet fragrance of the freesia flower. Gardenia: Meaning purity and joy. Hydrangea: Meaning understanding and is used by spring and fall wedding bouquets and arrangements. Iris: Meaning a message of faith, wisdom and spring brides enjoy this beautiful flower as part of their wedding bouquets. Lilac: Meaning love’s first emotions with a strong fragrance. A little flower fact: The local lilac is grown like a bush, and is used as a filler because of the greenery. The French lilac is more flower like and can be used as such in bouquets and arrangements. This exotic flower comes in a variety of colors and sizes. Lily of the Valley: Meaning happiness and these small, fragile, bell-shaped flowers are considered traditional marriage flowers. Magnolia: Love of nature and are best used for flower arrangements by spring or summer brides. Orchid: Meaning love, beauty and is best used for bouquet, boutonnieres and corsages. Roses: Meaning love, joy and they are the most popular wedding flower. Stephanotis: Meaning marital happiness. They are best used for bouquets and arrangements. Brides love their trumpet shape blossoms consider them traditional bridal flowers, no doubt due to their meaning. Tulips: Meaning love, passion this flower is a favorite for spring brides. Flower fact: These sweet and stately flowers can be found in myriad of colors. Let’s not forget the Sunflower many country brides love their sunflowers! Brides and Grooms will be celebrating World Marriage Day on the second Sunday in February and it honors husbands and wives as the basic units of society, and statutes for “the beauty of their faithfulness, sacrifice, and joy in daily married life. This is a wonderful opportunity to celebrate with flowers that express your truest love language to your sweetheart. Stella and Johnny spent their fiftieth wedding anniversary reminiscing about how amazing their wedding was. Stella said, it seemed like each flower bloomed on que and represented their love for each other, the candles were bright and dancing, the wedding party didn’t miss a step as the wedding march played. It was a grand wedding and after the I do’s and good byes Stella’s, elderly grandmother Sadie, stopped Stella and reminded her of the two promises that Stella, had made to her when she announced her wedding plans. Stella,reassured Sadie,that she was looking forward to fulfilling her grandmothers requests. The first request was that Stella and Johnny would spend their honeymoon in Niagara Falls, New York because it was family tradition. The second request was that Stella would always keep mad money in the shoe box on the shelf in her closet and that Johnny would never snoop in it. Sadie, gave her a decorated wedding shoe box that she called, her “wedding bliss box” and promised her grand-daughter that it would work. After Johnny carried Stella across the threshold of their first home, she placed a shoe box on a shelf in her closet and asked him never to touch it. For fifty years Johnny left the box alone. But one day, while he was searching for the deed to their house, he spotted the box. Caving in to temptations, he opened it. To his surprise, he found two doilies and $75,000 in cash. He put the box back in the closet. Puzzled about what he had found, he confessed to Stella that he had opened the box and begged her to explain the contents. “Grandma Sadie”, gave me her shoe box just as I was getting ready to walk down the aisle, to say my wedding vows,” Stella explained. “She told me to make a doily for every time I became mad at you and we would enjoy a long and happy marriage” Johnny was genuinely touched that in a half century, his wife had been mad at him only twice. ” So where did the $75.000 come from?” he asked.”Oh, replied Stella’s, “that’s the money I made from selling the rest of the doilies.” Stella, smiled and under her breath thanked her grandmother for the best advice a bride could receive. Country folk paint their sentences in the most vivid and original analogies when it comes to what love is and isn’t. They sew simple words of emotion into quilts of truisms, and season their language with zesty wit and biting rage. There is always an element of truth in these beliefs from the nation’s backwoods and front porches, reflecting a way of thinking that can touch us all in different ways. Those wonderful down-home folks of the farms, mountains, and ranges of America have had plenty to say about love, marriage, breakups, and heartache. If you’ve been smitten by Cupid, you’ll enjoy a few of these country love sayings they are as tender and sweet as honey-dipped chicken wings. You’ll see for yourself that when it comes to romance, the denizens of the hollows, hamlets, and hinterlands of America have their own charming, inventive ways of speaking from the heart. But heaven help you if you cross them, because there’s another side to country talk that is a furious flurry of poison-tipped barbs aimed at cheaters, ner’er-do-wells, and cads who have broken lovers’ hearts. If you’re suffering from heartache or you’re seeking revenge over a romance turned sour, you’ll find plenty of boonies-born saying that are as fiery and spicy as chile peppers dipped in homemade horseradish. The sayings have emerged from virtually every nook and cranny of America from lovey-dovey places like Romance, to Arkansas; Sweet lips, Tennessee; Bridal Veil, Oregon; Matrimony, North Carolina; Valentine, Nebraska; Loving, Oklahoma; and Hearts Content, Pennsylvania. let’s not leave out a few auguished-sounding places like Bitter End, Tennessee; Screamerville, Virginia; Hell Hollow, New Hampshire; Bedlam, Connecticut; Loveless, Alabama; Heartease, Mississippi: Little Hope, Texas; and Farewell, Missouri. About the beautiful bride, you might say… Grace was in her steps, heaven in her eyes. About the happy groom, you might say… I’m plumb tickled to death to be walkin’ down the aisle of love. The sweet ceremony in describing what a loving and emotional wedding it was you might say… It’d bring a tear to a glass eye. The amazing ceremony, if you’re enjoying the best wedding you’re ever attended, you might say… I’ve been to three country fairs and a hog butcherin’ but I ain’t never seen notin’ like this before. The happy newlyweds, as you happily walk together out of the church on your wedding day, you might say… I’ve got the world by the tail with a downhill pull. Wedding Sympathy, when seeing the groom walk into the church, you might say… Well, that’s the last real decision he’ll ever make. Vows sweetly spoken won’t ever be broken. A lovely day, a lovely bride. A weepin’ bride will be a laughin’ wife. A laughin’ bride will be a weepin’ wife. Marry in May, rue the day. Marry in white, always be right. Mary in blue, always be true. Marry in brown, live in town. Mary in black, don’t look back. Marry in green and never be seen. Marry in red, be loved for who you are. Stunned speechless, John gulped and looked around as all eyes were on him. Feeling totally betrayed and too afraid to bolt from the altar, he squeaked out, “I will.” When the ceremony was over, the groom, whose shock had turned to anger, pulled the preacher aside and, through clenched teeth, hissed, I thought we had a deal. We did admitted the preacher as he returned the hundred dollars that John had bribed him with and whispered in John’s ear, the bride made me a better offer to change the vows. You don’t have to live in lovey-dovey places like Romance, Arkansas or Sweet Lips, Tennessee to enjoy some down home country jokes and stories that have captured the joy of spoonin’, courtin’, gettin’ hitched, and havin’ relations as well as sorrow and rage of gettin’ ditched and gettin’even ones. But you can enjoy romance and gettin hitched the country way no matter where you live in America. By the time the first note of the bridal march is played, thousands of decisions have been made, for better or for worse. Knowing what to do and what not to do can help you to avoid missteps so you can make the most of your perfect day. There are many details involved in making your wedding a success, and careful attention should be paid to all of them, big and small. Begin by getting an overview of all tasks ahead of you. Here are a few reminders of what to do and what not to do while on your jounery to the altar. Do not try to please others by doing your wedding as they suggest. It’s your wedding. Do it your way. Do not make major decisions with consulting your fiance’ (e). Do not discuss the details of your budget with other people. Unless they are helping to finance the event, the details are not their concern. Do not expect service providers to work for unreasonably low prices. Get the best deals you can, but be willing to pay appropriately for people’s time and efforts. Do not forget that everything will go perfectly. There are bound to be glitches, but you can deal with them. Do not make spur-of-the moment decisions about anything. Take time to consider everything carefully. Do not be rigid with your plans. Try to be flexible when possible. Do not spend so much on the wedding that you enter your new marriage heavily in debt. Do not make unreasonable demands of all the people helping you make your plans. 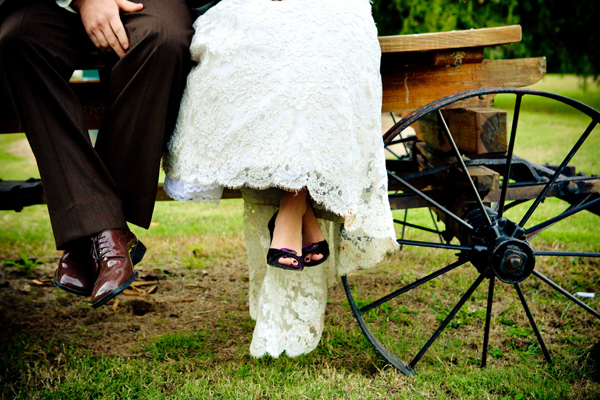 Do not use your wedding as a time to highlight and perpetuate family differences. Do not allow differences of opinion about wedding details to come between you and your fiance’. Do not neglect your relationship with your fiance’ as you get caught up in planning the wedding. Leave enough time to handle all the unexpected details. Start at the beginning by getting a game plan. Don’t forget one of the most important things to do, “seek out pre marriage counseling” with a professional that you and your fiance’ trust and rremember that the marriage is the most important thing, not the wedding. The wedding party is an important feature of the wedding begin to think about who should be part of this select group. Take advantage of a professional wedding planner if possible. It will take some of the burden off your shoulders, and will leave you time to deal with other details that only you can handle. Ask professionals who will be helping you how much time they will need to get everything done properly. Select a date for your wedding that is not already notable for something else. Choose attendants and other member of the wedding party with care. 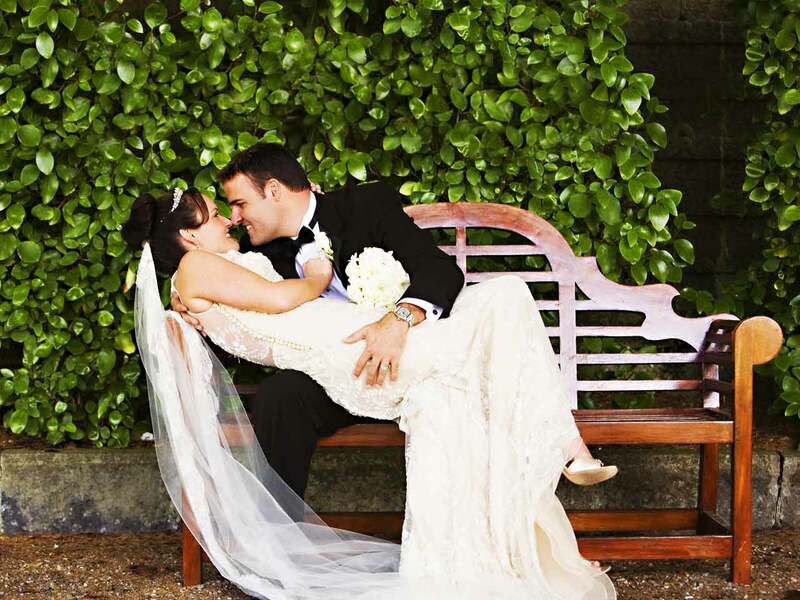 They will part of your memories of your special day, and will be a part of the photos that you will cherish. Try to choose outfits that your attendants really can wear latter. Get details in writing.There is nothing worse than thinking you are getting a particular product or service in one way, and finding out that you are incorrect. Keep receipts for everything you pay in connection to the wedding. Select some method of keeping all your details organized there are many free wedding web sites that are designed to help you and your wedding party stay organized. Weddingwire.com is an excellent. Many brides still use index cards, and some find a loose leaf notebook system helpful. List all wedding tasks to be done and assign a due date for each. This will be helpful when meeting with suppliers of goods and services. Find out deadlines by which you will have to have particular decisions made and abide by them. Remember they are intended to help you. Get a master calendar where all activities, plans, and deadlines will be recorded. Begin to think about what type of service you would like, wha traditions you would like to honor, and what religious elements you would like to include. Have a back up plan if your wedding is planned for outdoors. As you begin to think of whom you will invite, keep a list of extras that out-of-town guest will need, such as a ride to the rehearsal dinner. Enlist help ahead of time to help accommodate special needs of guests. Be ready to bear the cost of extras that you ask your attendants to have, such as professionally applied make-up or perfect manicure. Check well ahead of the wedding for marriage license requirements. What to wear? You can ease the process of dressing everyone appropriately for the ceremony by knowing what your wedding vision is before you even start. Plan to show your appreciation to members of the wedding party with a gift to help commemorate the occasion. Remember you are blending your families,so make sure you remain respectful of your fiance’s suggestions he knows them better than you do. Send thank-you notes promptly so you do not feel overwhelmed by the task. Take time to enjoy the journey to the altar. Relax and savor the process. 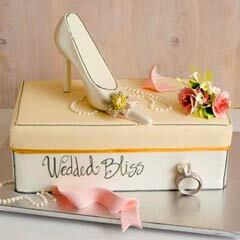 Begin to develop a budget for your wedding expenses. Include in the budget honorarium for the minster, musicians, and others who help the ceremony but who are not attendants. Decide up front who will pay for what.There are traditional guidelines about this, though in recent years they have become more casual they are still an important facet of planning a wedding. Consider setting up a wedding gift registry, it helps to take the guess-work out for those who are buying you and your fiance’ gifts. Remember to tie up the loose ends and finishing with finesse because you are creating a day you will cherish for a lifetime.